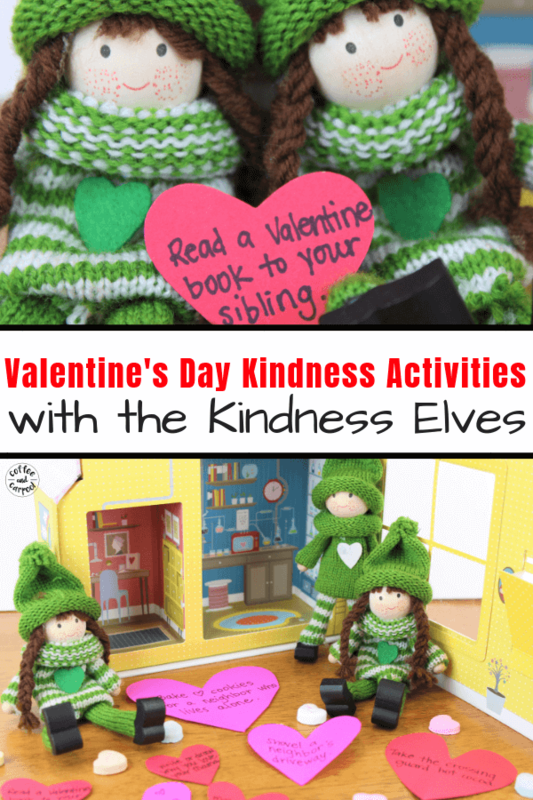 Inside: Encourage and spread some kindness this February with these Kindness Elves Valentine’s Day Activities. We are always looking for ways to bring more kindness into our family. Because raising kind kids isn’t a one-time thing. It takes practice, and consistency, and modeling. We talk about kindness with these 60 Kindness Discussion Starters and read kindness books, and make Kindness Rocks. But we’re always on the hunt for new and fun ways to inspire our kids to act with kindness. So a few months ago we brought the Kindness Elves into our home. And this February, as we count down to Valentine’s Day, they’re bringing ideas to our family to spread love and kindness to each other and to our community. What are the Kindness Elves? 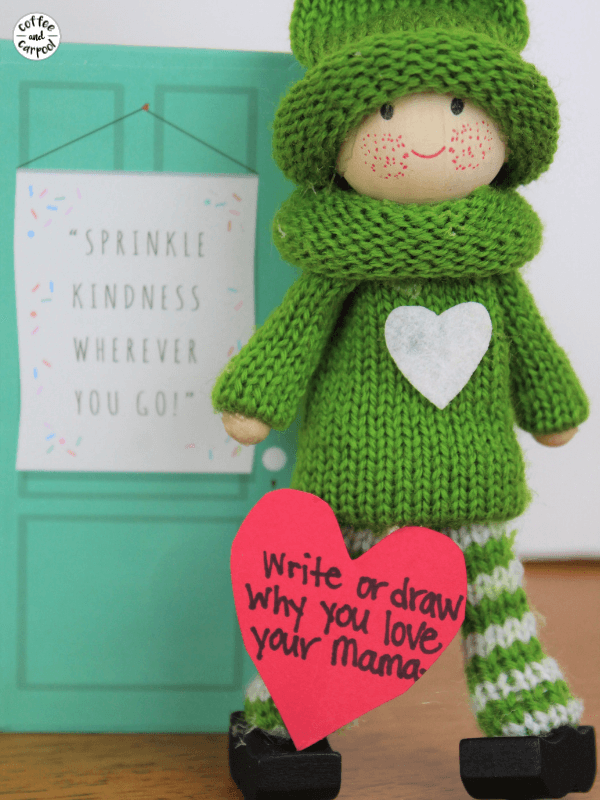 The Kindness Elves are little guys that hang out with us year-round and bring suggestions for ways our kids can be kinder and show more kindness. And since we’re always on the hunt for fun and simple ways to spread kindness, we love when they bring us a suggestion. 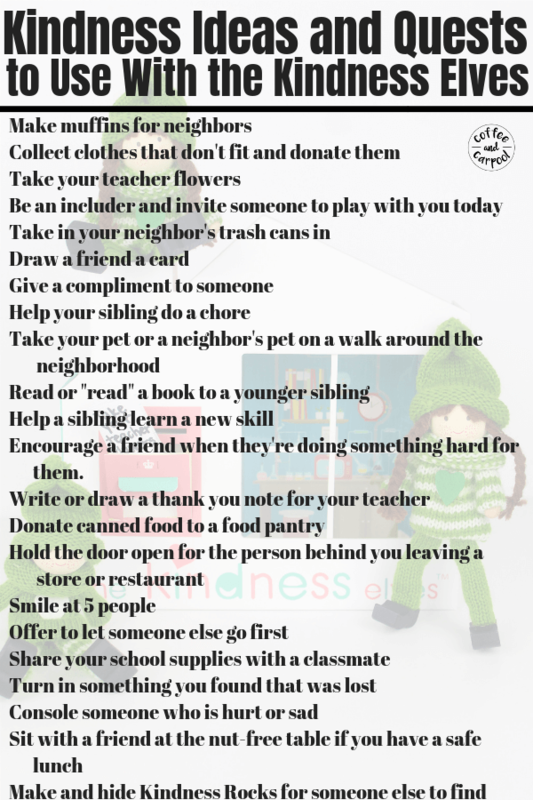 The kindness activities range from simple and no-cost activities like drawing a card for someone or reading a book to a sibling to more complex kindness activities like donate old winter clothes to a clothing drive or take hot cocoa to our crossing guard. 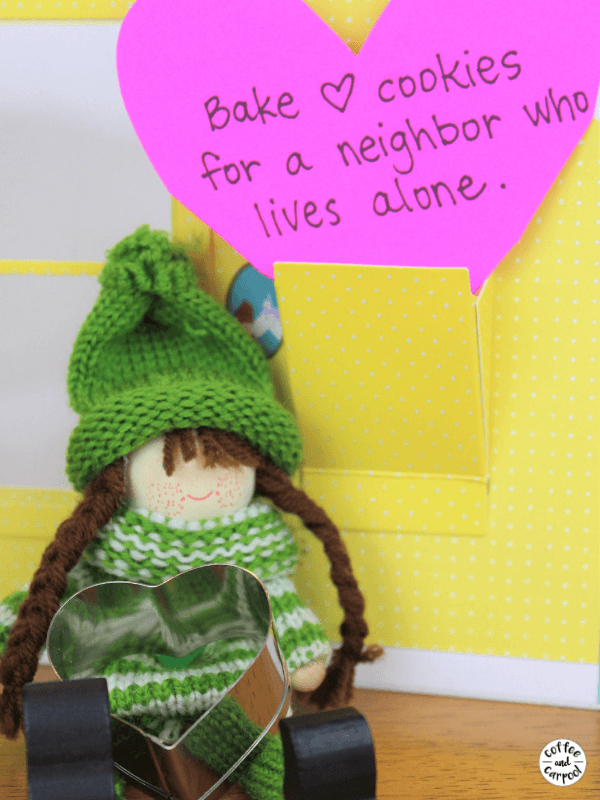 The Kindness Elves bring us general kindness ideas and themed-ideas, perfect for the holidays like these Christmas Kindness Elves Activities. 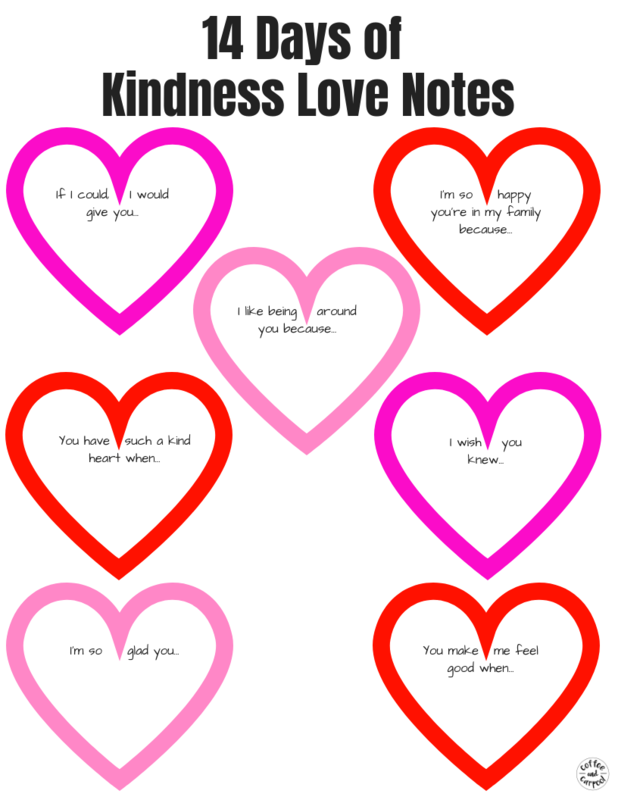 And when they bring us a note, they often bring what we need to complete the kindness activity like hot cocoa packets and disposable to go mugs and heart-shaped cookie cutters. Ready to Invite the Kindness Elves into Your Home? Click here to grab them. 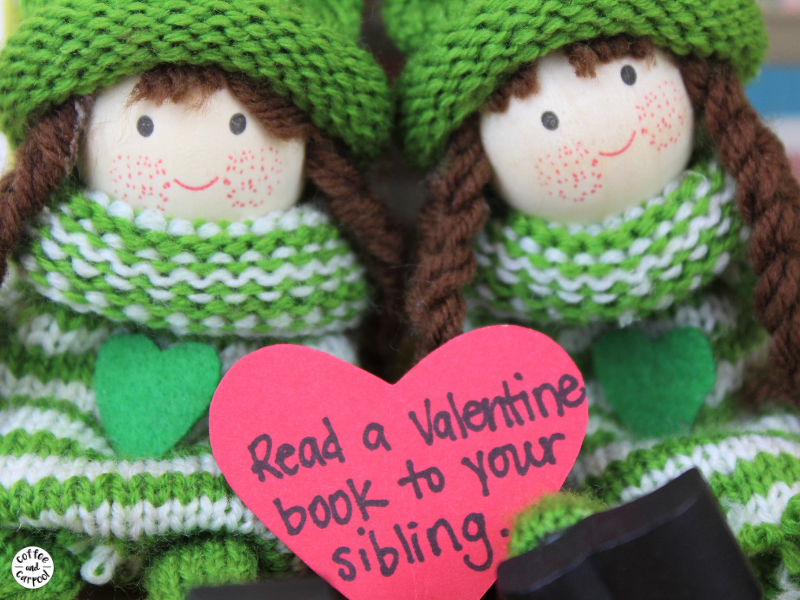 Read a Valentine’s Day book to a sibling. Write a thank you note that includes why they love their teacher. Bake heart-shaped cookies for a neighbor. 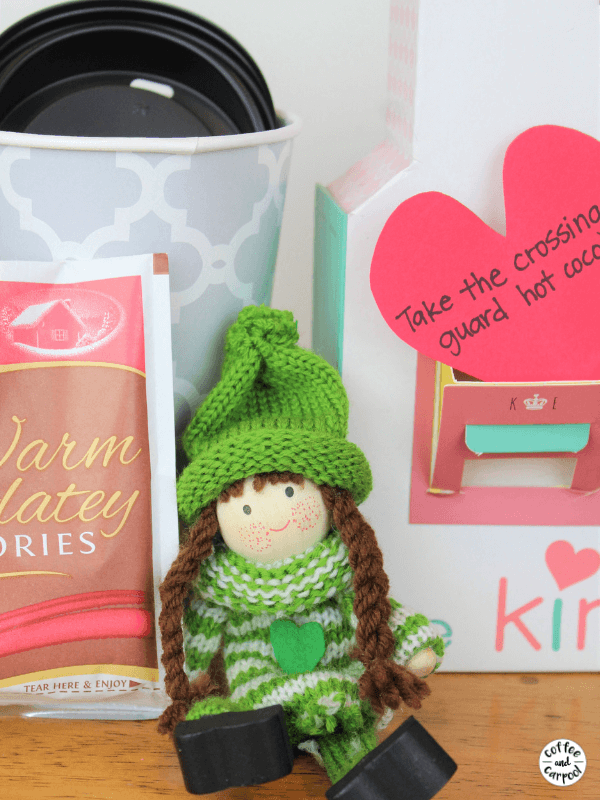 Take hot cocoa to our crossing guard or mail carrier or teacher. 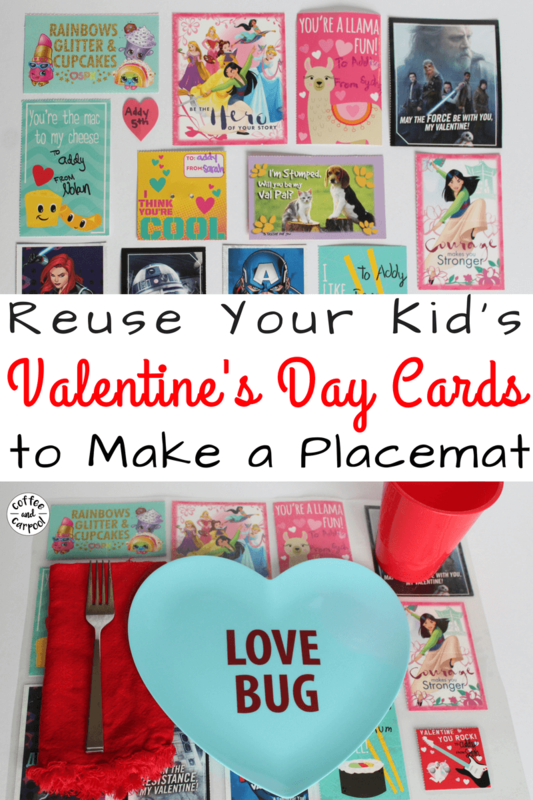 Make a hand-made valentine for grandma. Write (or draw) what they love about their Mama. Make Valentine’s Day crafts and drop them off at a local nursing home or retirement home like these Valentine’s Day Sewing Crafts. Send ecards and valentines for kids in the hospital. Want even more Kindness Elves ideas?